UPDATE: The livestream is over! To watch a VOD of the stream, head over to our Twitch channel. 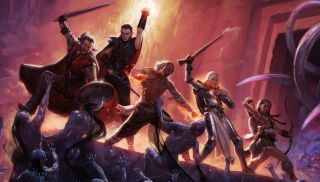 Pillars of Eternity comes out later this week on the 26th, and our full review will be ready then, but we have the opportunity to livestream it right now. Tom hasn't played the game before and won't be our reviewer, so these will be his raw first impressions of it. Watch the stream through the embed above or go to our Twitch page and join in the chat. One note: Pillars is a story driven game, and this stream will contain spoilers for the first couple hours.